The prominence of travel websites over the past decade has allowed almost everyone the ability to plan their best vacation ever. But it also means that when a true innovator in the industry comes along, there's a chance they'll get lost amongst their competitors faster than a black suitcase on the baggage carousel at Chicago's O'Hare Airport. Yet, if travelers overlook KAYAK, they do so at the risk of missing out on the future of travel — not just in terms of technology, but also in the practical sense of seeing where fares may go. TechCrunch recently reported that KAYAK has brought price forecasting to its flight search results, which is a huge deal if you've ever wondered whether to snap up a fare, or chance waiting a bit in case prices improve. The concept sounded so intriguing to us, we sought out a KAYAK representative (a "KAYAKer," if you will) to give us the lowdown. Jessica Casano-Antonellis, a spokesperson for KAYAK, spoke with dealnews about price forecasting, and how the feisty travel website based in Norwalk, CT got its start. 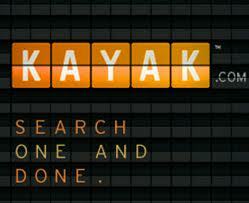 KAYAK appears to work like an aggregator, searching many travel sites at once to find bargains. How does this work behind the scenes? Jessica Casano-Antonellis: KAYAK is a metasearch engine. The company has honed its search algorithm by having combed data from more than 100 million users each month over several years. The patent pending flight search algorithm [additionally] optimizes flight travel search for speed and quality. KAYAK has multiple data sources, including ITA and Amadeus (third-party "faring engines"), and direct queries of dozens of online travel agencies, airlines, and discount consolidators. Once you find what you want, we give you choices where to book — most travel sites do not — including airline, hotel, car rental, and online travel agency sites. We'll send you right to the booking page to finish your purchase there. You can also book your hotel or rental car right on KAYAK. We also offer travel management tools to manage your itinerary, check your flight status, and get price alerts. Your price forecasting tool seems to be somewhat revolutionary. How does that work, and how are you able to make predictions on where prices will go? 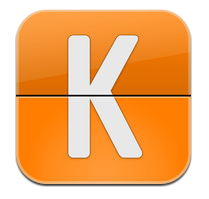 When will the forecasting tool come to KAYAK's mobile applications? JCA: We are planning to expand Price Forecast to mobile, but we do not have exact timing yet. You can check out our blog posts for more information. It would seem that even with Price Forecast, the wisdom is to book now if the fare looks right. What do you advise your customers and why? JCA: First and foremost, our advice is always this: When you see a good price, book it. That said, we want to arm you with as much insight as possible before you make your decision. In addition to our Price Forecast tool, we offer general when-to-book guidelines. Setting up a price alert on KAYAK is the perfect way to find a flight fare within any budget. You get daily or weekly emails with price roundups of specific routes. And Hacker Fares is a flight search tool that provides KAYAK users with another option for searching for the best airfare deals. 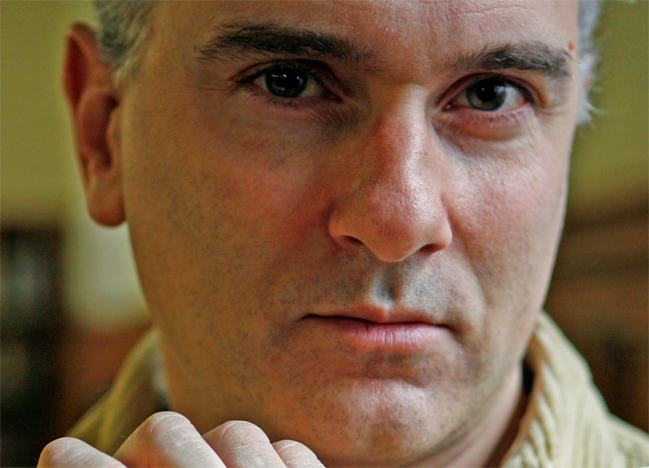 Speaking of which, Hacker Fares has gotten attention in USA Today and other media outlets. How does it work? JCA: For years savvy budget travelers have been using this trick to find great deals on flight prices: buying two one-way fares on separate airlines. However, this can be time-consuming; it requires an exhaustive search, combing through travel sites over and over to find these deals. With KAYAK's Hacker Fares, the results will appear directly in regular flight query results, providing every option to secure the lowest price airfare with just one search. A Hacker Fare will only be shown if it is cheaper or if it provides additional choices such as the cheapest option in a given hour time slot, a shorter duration, or an additional airline option. How many people are using KAYAK now, and can you give us some idea how those figures have grown over the last few years? JCA: We process more than 100 million queries per month. And KAYAK surpassed 1 billion queries in the first 10 months of 2012. To put that number in perspective, it took us over four years to achieve our first billion queries in 2008 and another three years (2009 to 2011) to process two billion more. To boot, KAYAK's free mobile app is the no. 1 travel application with more than 20 million downloads. Looking ahead, how does KAYAK plan to expand its online and mobile platforms to give its users even more travel choices and even more competitive pricing? JCA: We strive to innovate faster than our competitors, and we release new code to our websites almost every week. KAYAK is on the cutting edge of mobile user interfaces and has a dedicated mobile architecture team who are constantly updating the existing UI and developing new UI solutions that competitors continuously try to replicate. ... We source data from several additional sources, including multiple third-party data providers, direct information from airlines, and from several online travel agencies and discounters. We also have a much greater scale of query volume — and that provides us an additional advantage in providing accurate results. Whether you're sold on KAYAK or have your own favorite method of booking cheap fares and lodging on the fly, there's no denying that the website is pushing the boundaries in terms of how much control travelers can take over their itineraries. Of course, saving money doesn't hurt either, and thanks to their advantage with massive numbers crunching, KAYAK is gaining some impressive altitude — and doing it with tech-savvy attitude. Given the recent news about CNET at CES, I wonder what's going on with this article. There are many fare forecasting engines out there already, This seems to suggest this is "revolutionary". I call BS!.